When we get our electricity bills, it shows that we have used a certain number of units for the given period. When we go to buy appliances, most of them have watts mentioned on them. If you find it difficult to understand the relation between the two, then you are not alone. Electricity bill and its components are confusing to many and with this article we will try to explain what are watt, kilowatt and a unit of electricity. Power and Energy/Electricity are two words that are used so much for each other that many feel that they mean the same. Interestingly both of them have a very different meaning. Power is the rate at which electricity is used and energy/electricity is the actual consumption. To give an analogy, power is similar to speed but electricity/energy is the actual distance traveled. Just like Speed x Time = Distance Traveled. Power is always represented in watt (W) or kilowatt (kW). A thousand (1000) watts make one kilowatt. 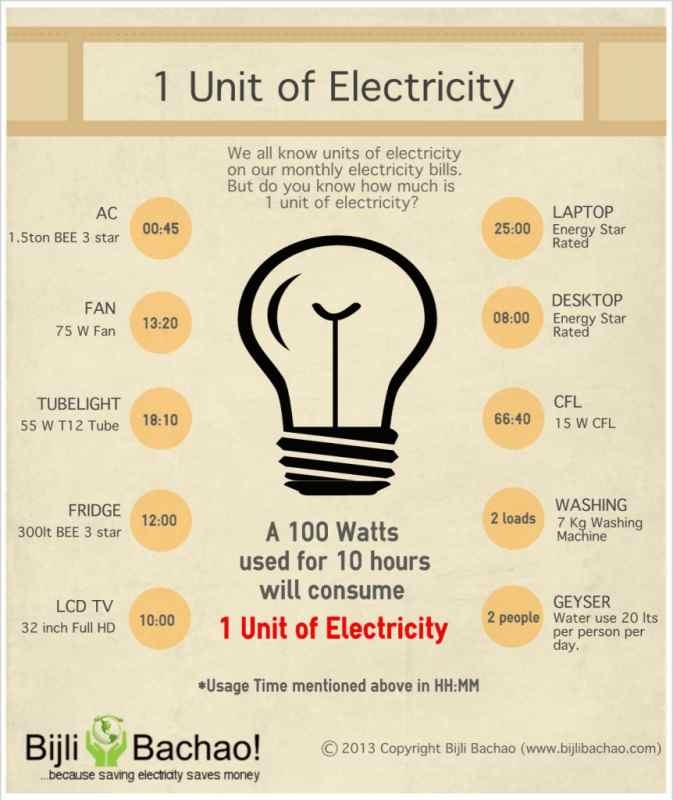 So if any appliance is rated as 1.2 kW then it means that it consumes electricity at a rate of 1200 W. Now as we discussed earlier that power is the rate at which electricity is consumed and not the actual electricity consumed, Watt or Kilowatt just represent the rate at which electricity is consumed per hour. 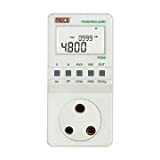 Which means that when you buy a 100 W bulb, it does not consume 100 units of electricity but consumes at a rate of 100 W.
100 x 10 = 1000 Watt-Hour = 1 Kilowatt-Hour (kWH) = 1 units (on your meter). Please note that this formula may not work always. For appliances like Air Conditioner, Water Heater, Cloth Iron (any heating or cooling device) and pumps, this will not work.